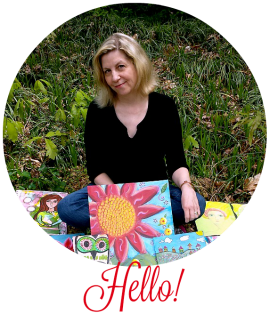 My art group, Flytribe, is having a Love of Art Blog Hop today and I am linking up! I love art because it allows me to express myself. I believe creative expression is good for the soul and I believe in the life-enhancing and healing properties of creating art. Making art is soothing and meditative for me - really gets my mind to another place, and allows me to connect on a deeper level. 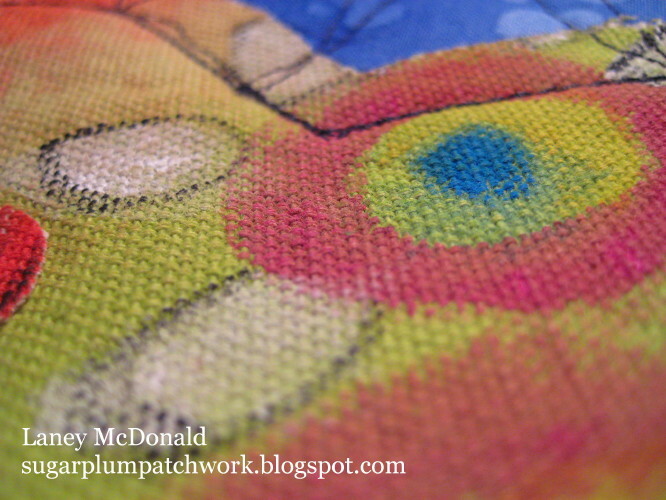 The art I'm sharing today is the mini quilt that I made as a valentine for my husband. The heart is made from my hand painted canvas sewn to a blue background and quilted with black. 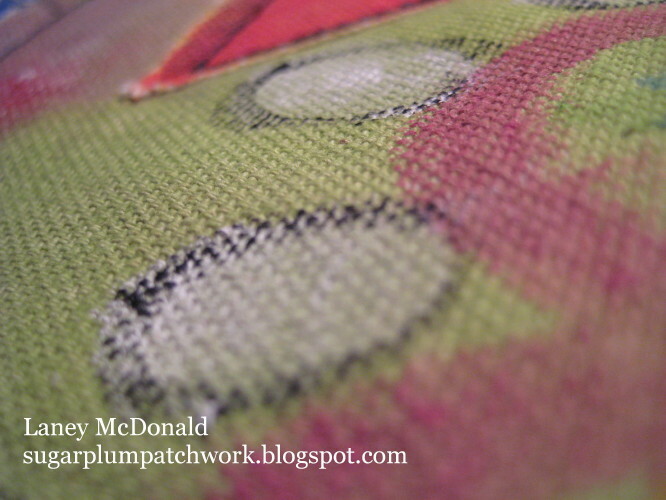 A small heart appliqued to the other. I invite you to check out the blog hop and visit all the other blogs for more art love! 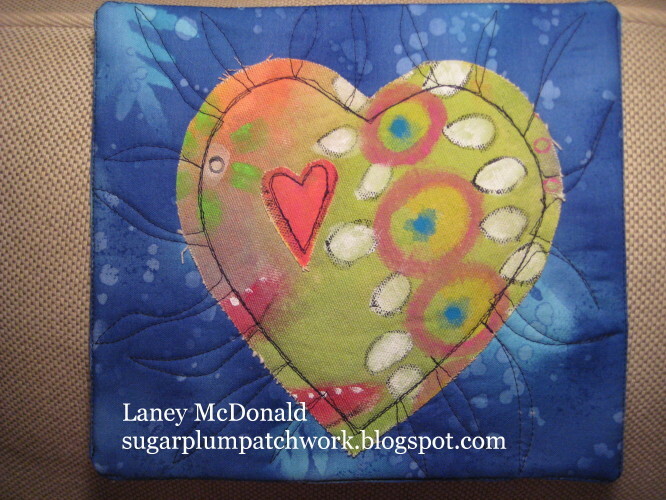 Love your quilted heart piece, very cool! Thanks for sharing it! Happy Valentine's Day! Pretty Quilting technique, and what a thoughtful gift for your hubby too. Happy Valentines Day to you! How beautiful! I love it Laney! What a great expression of LOVE - thank you for sharing a piece of yourself with all of us! Love your quilt. You're very talented. 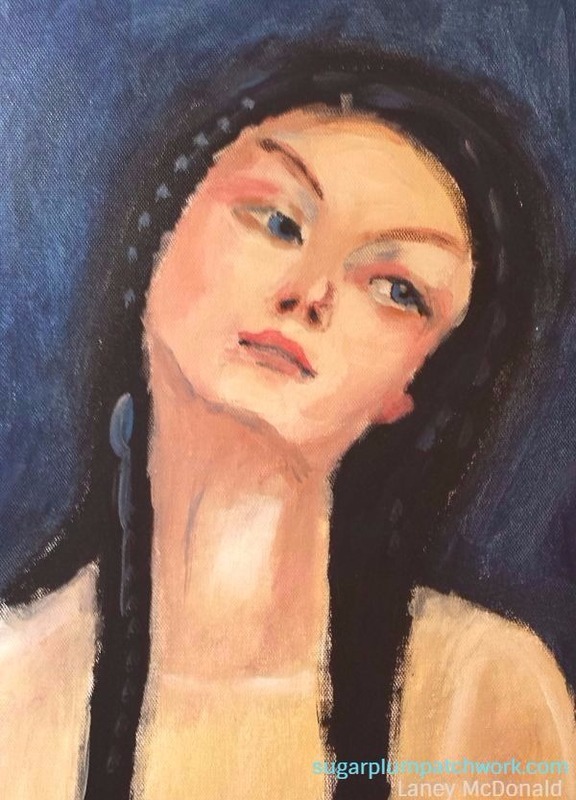 I totally agree with you about art. Love your work! 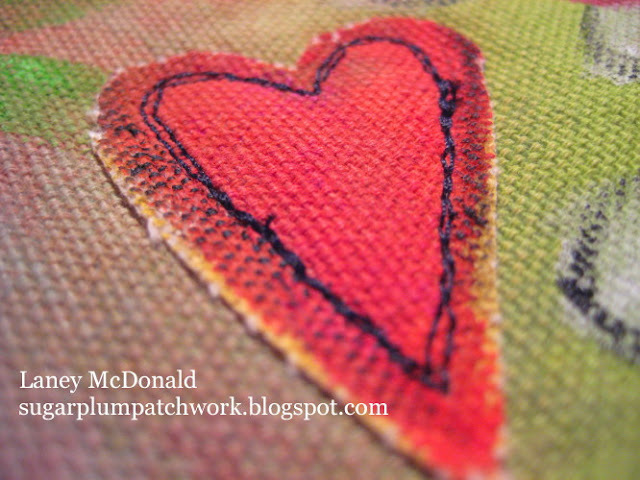 Love the cheerful heart quilt. Thanks so much for posting. What a sweet quilt!! Love those hearts! Wow! This is so cool Laney. It all came together beautifully. One lucky husband you have. Laney, the heart quilt is awesome!!! Way to fly!! So pretty! Adore those hearts!! I agree art is all about expressing yourself - I love your ATC's! Love that quilt! Well done! I love your heart art mini-quilt - it is gorgeous! What a special way to celebrate Valentine's day with your husband.